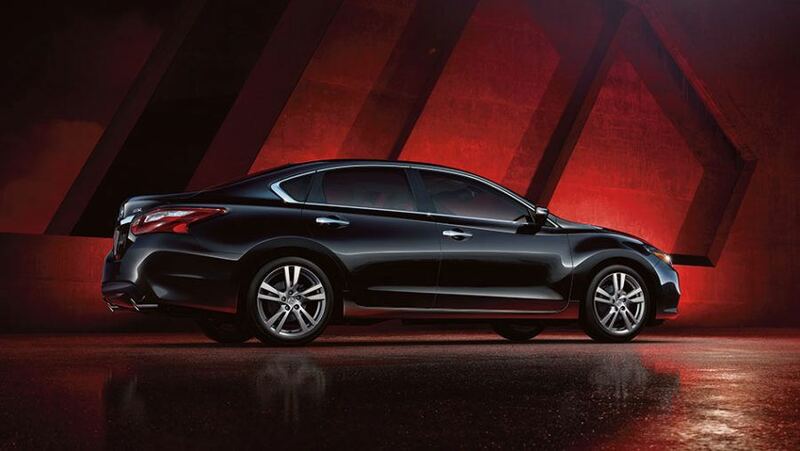 Midway Nissan | Blog | Midway Nissan Reviews the Altima 3.5 SL! Midway Nissan Reviews the Altima 3.5 SL! The 2017 Nissan Altima 3.5 SL is a premium sedan that is sure to turn heads! It features a 3.5L DOHC 24 Valve V6 engine capable of generating 270 horsepower peaking at 6,400 rpm and torque of 251 lb-ft peaking at 4,400 rpm. The 2017 Altima 3.5 SL is powered by continuously variable valve timing control system, variable induction system and drive by wire throttle system. 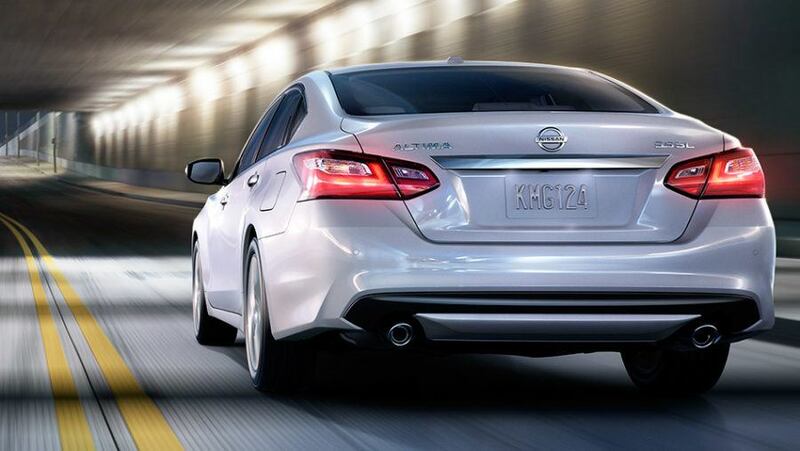 The front wheel drive Altima 3.5 SL has vented disc brakes on front wheels and solid disc brakes on rear wheels, anti-lock braking system on all four wheels, electronic brake force distribution and forward emergency braking system. The 2017 Nissan Altima 3.5 SL delivers a mileage of 7.3 L/100Km on highways and 10.6 L/100Km on city roads. The standard features in the 2017 Altima 3.5 SL include independent strut suspension in the front, multilink independent suspension in the rear, active understeer control, electronic hydraulic power-assisted steering, aluminum-alloy wheels and all season tires, smart auto LED headlights, fog lights and chrome exhaust finishers. The outside mirrors are heated, powered and body coloured with LED signal indicators. The moonroof has a powered sliding glass with one touch close and open function as well as tilt feature. View our inventory. Ensuring convenience and comfort, the Altima 3.5 SL has drive assist, official Nissan navigation system and mobile apps, 7″ touch-screen display with voice recognition, Sirius compatibility, Siri compatibility, rear view monitor, hands-free messaging and phone system facilitated by Bluetooth, HomeLink, dual zone air conditioning with micro filter, powered windows, doors with auto locks, remote keyless entry, Nissan’s intelligent key, smart ignition and remote trunk access, intelligent climate control and cruise control, electroluminescent gauges, speed-sensitive windshield wipers, sun visors, illuminated vanity mirrors, digital clock, rearview mirror with auto dimming, LED reading lights and map lights, mood lights, lockable glove box, height and position adjustable front seats with lumbar support, heated fronted seats and steering and foldable rear seats. The 2017 Nissan Altima 3.5 SL has a Bose audio system with illuminated controls mounted in the steering wheel, nine speakers, radio, volume control is speed sensitive, there is an audio input jack, USB port for charging and iPod among other devices and Sirius compatibility. Altima 3.5 SL Trim assures active and passive safety with supplemental front airbags, seat belt sensors and occupant classification sensors, seat mounted supplemental airbags for side impacts, roof-mounted curtain airbags in the front and rear, vehicle dynamic control, blind spot notification, forward collision prediction, forward emergency braking, among many other features. 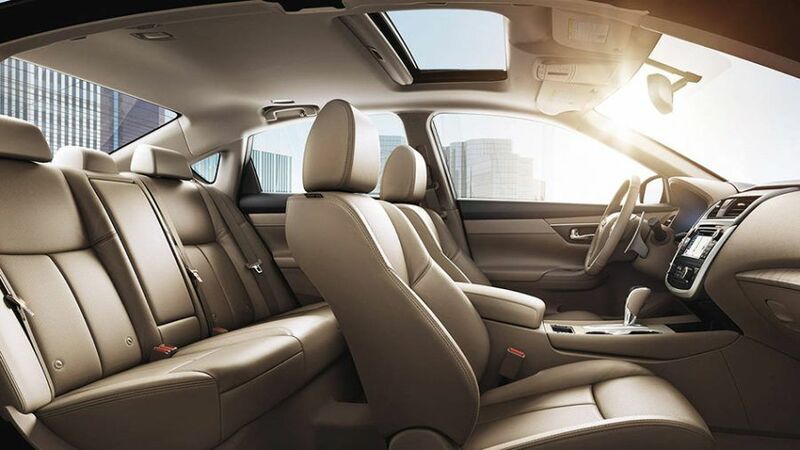 For a luxury ride in a premium sedan, the 2017 Altima 3.5 SL is your pick! If you’re in the Whitby or Oshawa area, we invite you to book a test drive at Midway Nissan today.